Shovels and Wheel barrows | Repair Management Nederland B.V.
RMN offers for each job the right shovel. Types such as Square sand shovels, Round nose shovels, Aluminium grain shovels, Spades etc. Also Pickaxes, steel forks and spare shovel and spade handles. 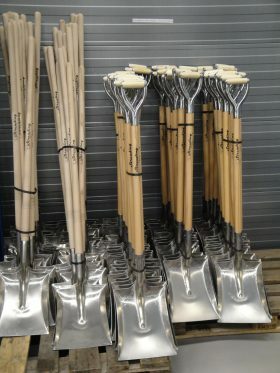 For Sopep Oil Spill boxes we offer a plastic Non-Spark square shovel. 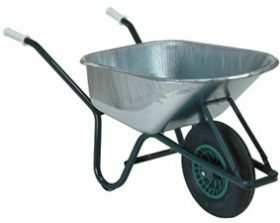 Wheel barrows are available with galvanized or lacquered tray.They are made by FORT. Spare wheels and tubes are always on stock.